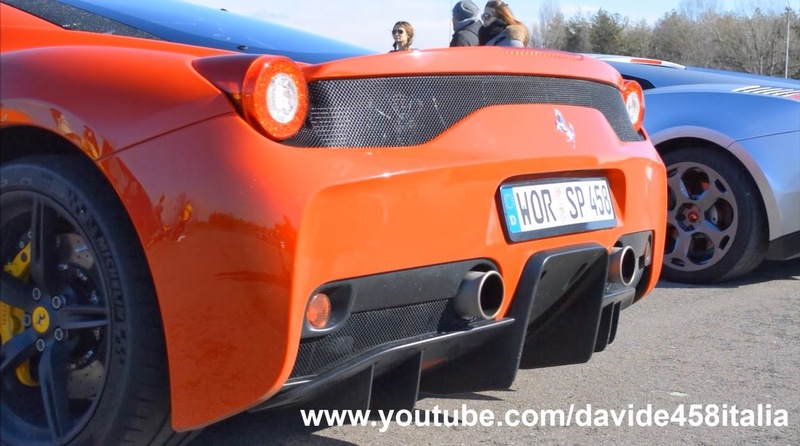 I filmed this Ferrari 458 Speciale at the Modena racetrack. In the video you can see small details of the car, the start up, the take off, the acceleration on the straight, some fly bys, downshifts and the action on the track. Watch it during fast accelerations and fast fly bys and listen to the sound of its screaming engine! Top speed on the straight: 210 km/h.